This is a lovely handkerchief and is a difficult to find color – black! Although it is a vintage hanky, it has not been used/laundered and is in new condition with the original “Hermann” and “Made in Switzerland” tags still attached! Handkerchief measures 12 ½” x 12”. This listing has a neat item – Avon Ultra-Fluff with Brocade fragrance bath powder! 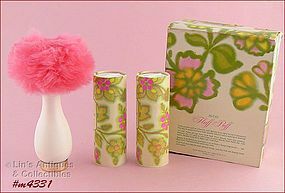 There is a “Fluffy Lambswool Puff & Pedestal Dish” with “Brocade Beauty Dust” in new, unused condition. Per box, there is supposed to be a 1/8 oz. bottle of Brocade perfume but it is no longer in the box. 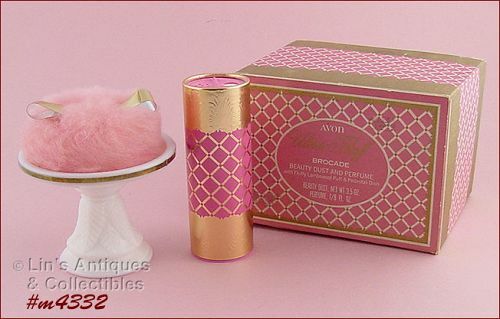 This listing has an Avon Fluff Puff in the original box with 2 containers of “beauty dust”! The bath powder fragrance is “To a Wild Rose”. Neat item! Mint condition vintage Avon! This is a 2 fluid ounce bottle of Cotillion Cologne and per box is “Golden Anniversary Keepsake”. I purchased this when issued and displayed it – never used! This is a beautiful porcelain mini-plate made in France! It measures 2 1/8” diameter and back has “Made in France”. The little plate is in a metal holder that allows it to be hung on a wall or displayed like a photo frame. 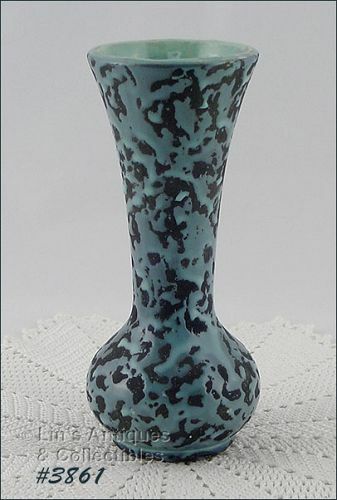 Lovely item and in excellent condition! What a great way to dress up a pair of plain pumps! 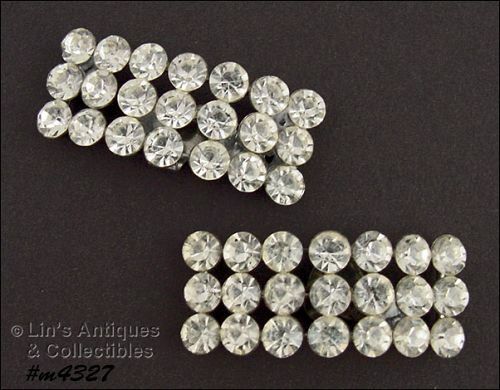 These shoe clips are all rhinestones – clear and sparkly. They measure 1 ¾” x ¾” and are in excellent condition. 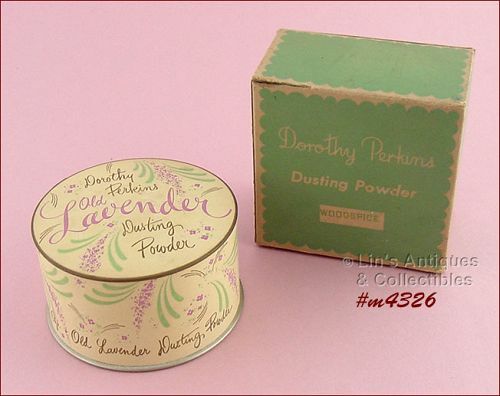 This is a neat retro item – it’s an unopened dusting powder by Dorothy Perkins Company, St. Louis! The container’s graphics are so pretty. 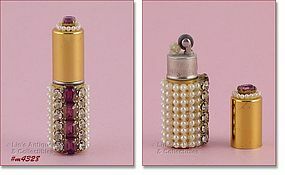 As noted, it has never been opened – has powder puff, is 8 oz., and per container, the fragrance is “Old Lavender”. It is in a Dorothy Perkins box but it shows “Woodspice” as the scent. Super item! This is one of the prettiest glass bead necklaces I’ve seen in a long time. The beads are gorgeous and definitely eye-catching! 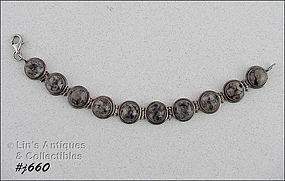 The necklace is choker style, measuring 12” but the attached extender (also with glass beads) is an additional 3+ inches. The matching (clip style) earrings measure 1” diameter and backs are marked Japan. 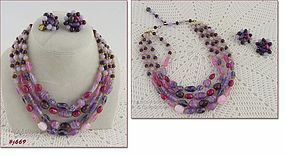 This is a lovely set to be worn and enjoyed or re-purposed – the beads are outstanding! This gorgeous pin has been in my collection for many years! 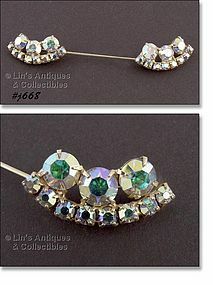 The aurora borealis rhinestones are some of the prettiest I’ve ever seen – they are top quality and all are prong-set. 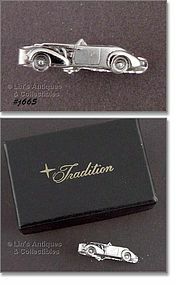 The pin is a collar pin but I always wore it on a vintage black pillbox style hat – very eye-catching! This was such an unusual item that I couldn’t resist purchasing! 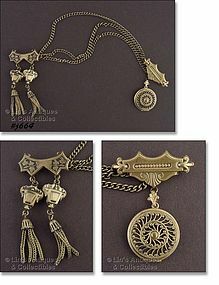 It has two pins with one having two dangle “tassels” and the other having a photo locket. There are no manufacturer marks/identification. Excellent condition vintage item! 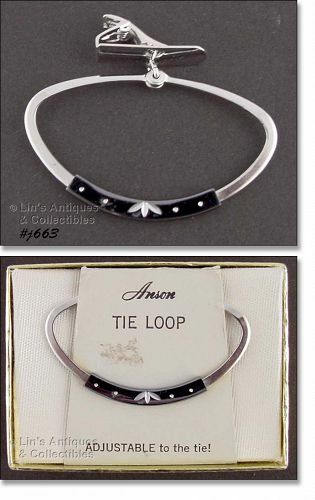 This listing has a vintage Anson Tie loop and per packaging it is “Adjustable to the tie!”. This item is not signed but it is still in the original Anson box! This is the cutest little necklace! 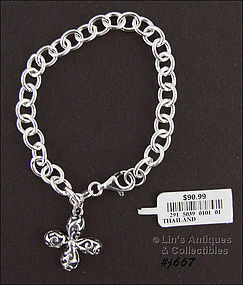 It is choker style – 13” long with 2 ½” extender chain. 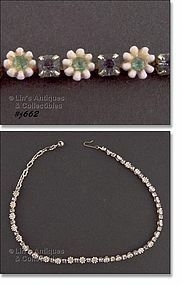 It’s gold tone metal with alternating pink plastic flowers with green rhinestone centers and light purple color rhinestones. It looks so pretty on – much prettier than in photo! This listing has a gorgeous pin with matching earrings! 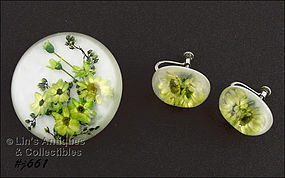 They are Lucite with embedded dried mini flowers. The pin measures 2 ½” diameter, the earrings measure ¾” x ½” and are screw-back style.